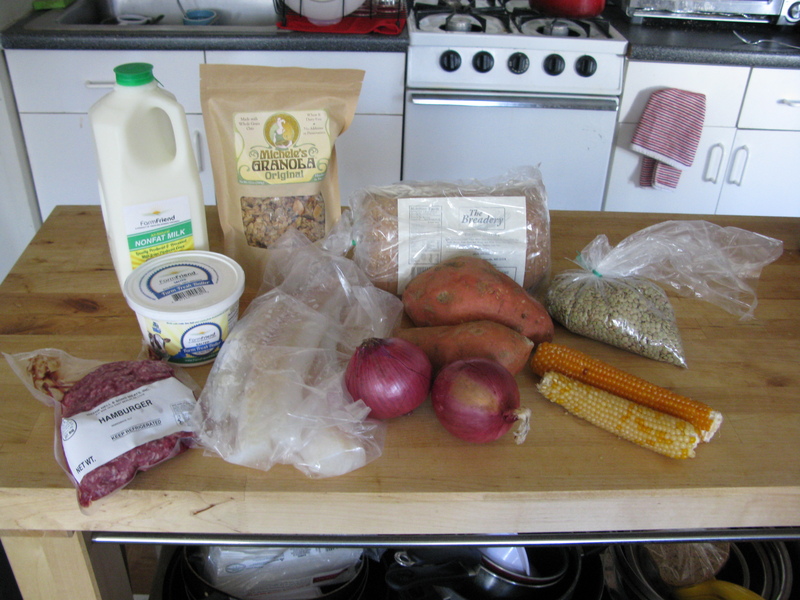 This week, we received – Two fresh cod fillets, hamburger meat, sweet potatoes, corn on the cob, red onions, lentils, granola, farm fresh butter, milk and bread. Edit – Friends & Farms just contacted us and told us we were supposed to have also received arugula and spinach, but there was a mistake. Instead, we will receive some more goodies next week!